A first of its kind, Just Dance is the ultimate dance competition of the best dancing talent from across the globe. Just Dance will provide a rare, once-in-a-lifetime opportunity for artists to dance in front of the Greek God, especially of Dance - Hrithik Roshan. The show is an inspiring challenge and an invite from Hrithik to all dancers across the globe, but admitting only the best talent to be part of this show. This broad canvas of talent will make for a grand viewing spectacle with dance that will not just cut across geographies or blend between traditional and contemporary forms but also showcase some 'Never-seen-before' avatar of Hrithik's dance. This show will be a rare life changing experience of being crowned worthy of dancing with the God of dance himself post rigorous professional training that will enable the contestants to give knock out performances. The show promises to present incredible dance performances choreographed by not only the best in India, but also international choreographers. The competition here is like nothing you have ever seen before! It has the man with the Greek God looks with dance flowing through his every single vein, Hrithik Roshan on the hot seat and with him to make things hotter, we have two of the best known names in the world of Indian choreography � Farah Khan and Vaibhavi Merchant on the judging panel! These ace dancers will scrutinize every participant for their dancing skills to make sure that they perform their best. 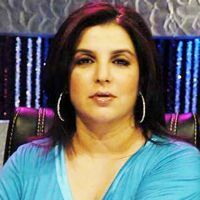 Just Dance is an Indian television dance-reality series on Star Plus. The series is judged by well-known Bollywood film actor Hrithik Roshan along with choreographer Vaibhavi Merchant and film director Farah Khan. Hrithik Roshan rehearsed for 5 hours a day for 5 days to shoot for the promotional video of the series, which is choreographed by shows judge, Vaibhavi Merchant. 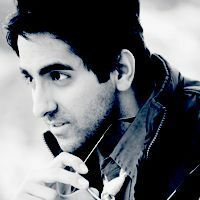 It premiered on June 18, 2011 at 9 PM in India and airs every Saturday and Sunday. The 52 dancers selected from India and outside of India. They invited to Mumbai studio for further competition to select top 12 dancer for the show. The top 12 was decided to select for the show but due to some problem 13 dancers were selected. 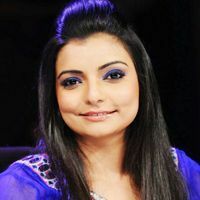 The Season 1 of the competition was won by Ankan Sen from Kolkata, while Surjeet Bansal from Delhi won the second spot. Ankan Sen is awarded with Rs 1 crore and Maruti Suzuki Swift car. Hrithik personally rewarded Surjeet with 10 lakh rupees and he also received a Maruti Suzuki Swift car. Both of them got a contract with starplus.Karan got a trophy and a 3 lakh check from Hrithik.